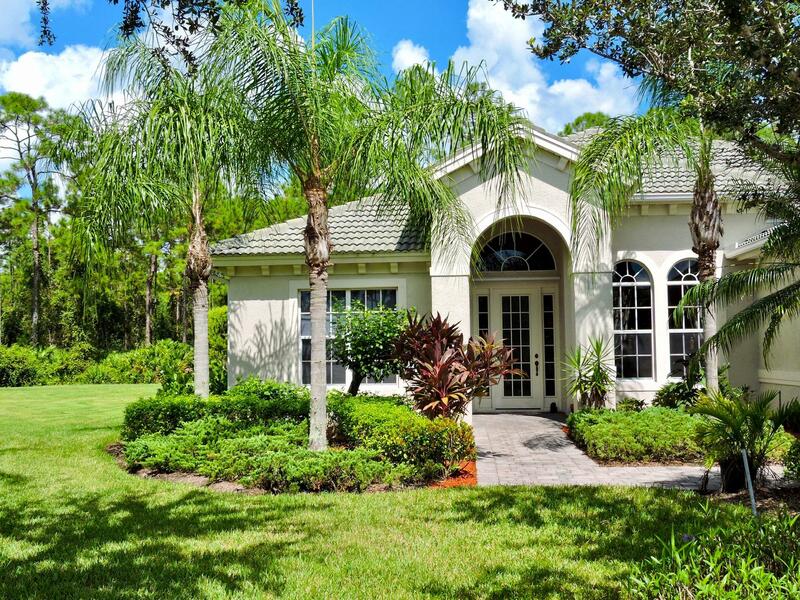 "This magnificent cul de sac house sits on one of the biggest lots in the community with the preserve in the back. Enjoy lots of privacy while sitting by the pool and jacuzzi. The open floor plan featuring 12 foot tray ceilings, 20' diagonal tile throughout main areas and wood floor in the bedrooms. There are arched hallways and beautiful niches throughout the house as well as arched windows. This distinctive home features an elegant master suite with walk in closets and an oversized bathroom. Kitchen features stainless steel appliances with granite countertop and tile backsplash making this home perfect for entertaining friends and family. An extended garage with hurricane proof door and paver driveway. Location is very convenient to all shopping and beaches. MUST SEE!"